The year 2012 proved to be very productive when it came to makeover projects, and there are plenty of posts worth mentioning. Here is a collection of 10 of the best room makeovers of the year, from bathrooms to bedrooms and some projects in between. Don't forget to refresh your memory on their humble beginnings! No, we're not talking granny sweaters... we're thinking of the modern spin to an old look, with over-sized and bold patterns. 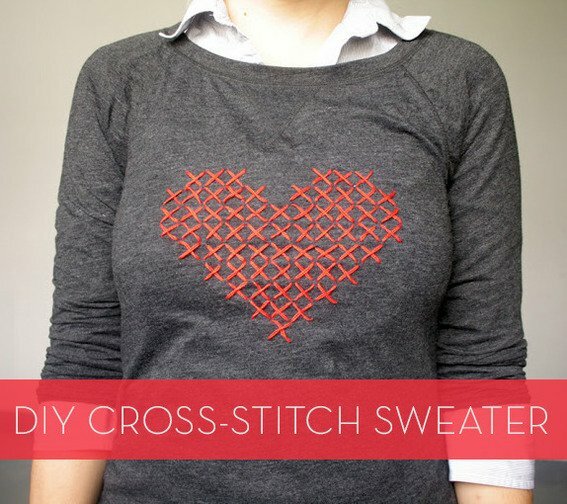 This very simple heart pattern would be easy to duplicate and is perfect for the cooler weather. Hello, it's me, Melanie. Creativity has always been a large part of my life, and now that I am a stay-at-home-mom, I have a little bit of time to Do It Myself on a regular basis. I am an avid sewist, a collector of vintage Pyrex, and a terrible cook.